Technology is constantly changing how we work. 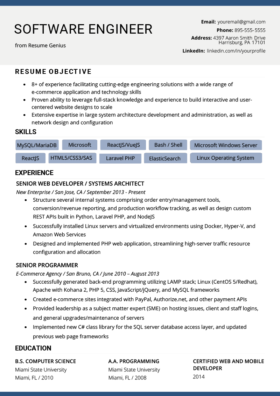 Stay ahead of the game by learning how to include the latest and most important computer skills on your resume. Job seekers are under increasing pressure to keep up to date with new software and applications. To make sure you don’t get left behind, we’ve compiled everything you need to know about putting computer skills on your resume into one handy guide. Whether you’re a technophile or technophobe – these HR-approved computer skills for your resume will get you hired. First, what are computer skills? The answer varies across industries. One primary distinction is between software and hardware. Software skills involve using computer programs such as Microsoft Office, whereas hardware refers to the physical devices that need operating. We provide a comprehensive list of computer skills across this piece that includes examples of both. Whether you want to brush up on your resume Excel skills for your first office job or emphasize your technical background and computer science skills – we’ve got you covered. “The times, they are a changin’” – and so too are the skills employees use every day in the office. Stay a step ahead of the competition by showing you’re familiar with some of today’s most commonly used software. Businesses of all sizes now use Google’s products, from Gmail for emailing to Google Docs for collaboration. G Suite has become so commonplace that it now often replaces Microsoft Office. Google Drive, Docs, Sheets, Calendar, Gmail, and Forms. Many of us use Facebook and Instagram when we’re avoiding work – but knowing how to engage and grow an online following is a key skill that companies want and will pay good money for. Don’t be afraid to add social media platforms. Although LinkedIn isn’t a skill for your resume, this social media platform can help you find work. Check out our guide to how to upload your resume in LinkedIn to get started. More technology often means more freedom, with some companies allowing employees to work from home or anywhere with an internet connection. With the increasing popularity of remote work, teams need to collaborate and communicate digitally. Show that you’re ahead of the curve by mentioning your fluency in workflow programs and video conferencing tools on your resume. Large IT companies use software to scan your application for keywords. Be prepared by reading our insider guide on how to beat applicant tracking systems (ATS). One of the most common questions our career advisors are asked is what computer skills should I put on my resume? Whatever job you apply for, some technological know-how will almost definitely be required. When in doubt, focus on the fundamentals. These three basic computer skills are essential for candidates who don’t work in IT. You don’t have to be an IT expert – just include the programs you’re familiar with. Most people know how to send and receive emails. However, if you understand advanced functions such as encryption and mail merges, make sure you mention them. Many candidates forget to note that they’re comfortable using both Microsoft Windows and MacOS. If you jump between the two with ease, say so. This could give you a head start if you need to take a basic computer skills test at the interview. Any office-based role role will expect some familiarity with Microsoft Word and Excel, as well as maybe Powerpoint, Outlook, and OneNote. To keep your resume up to date, write that you’re comfortable using the latest version of Office 365 and collaborating with SharePoint and OneDrive. Likewise, if the job advertisement mentions it, include the Apple equivalents: Pages, Numbers, Keynote, and iCloud. Looking to brush up on other skills too? Our list of 100+ educational websites will point you in the right direction. Levels of computer skills for a resume vary by candidate and by industry. We recommend looking at job ads to know which are most in demand for the type of position you’re trying to land. Here are the most useful types of computer skills prized across different sectors. Quickbooks is a popular software package used by small and medium sized businesses for tracking expenses, calculating payroll, and invoicing. If you’re a seasoned pro with similar software, put it in a prime location on your resume. Branding is more important than ever. Companies are always on the lookout for talented candidates who can bring their brands to life and give them the visual edge in the marketplace. Computer skills can help you work from home – or anywhere you want. From designing magazine pages to retouching photos, proficiency with software such as Adobe Creative Suite is one of the hottest computer software skills you can put on your resume. Businesses use data to better understand their customers and gain a market advantage, making these highly valuable skills to display in your resume. Things like data mining, modeling, and management, plus machine learning and examples of statistical software are all solid additions. Where to learn: Udemy has introductory courses if you don’t have a background in data science. More and more people are learning to code – not just for work, but even as a hobby. According to the Bureau of Labor Statistics, the future is very bright for web developers and software engineers. Where to learn: Codecademy is perfect for beginners. Eager to start building your resume? Our free downloadable resume templates are ready to be customized. Adding computer skills to your resume is not all about software – remember to include your expertise with physical devices if relevant to the job. 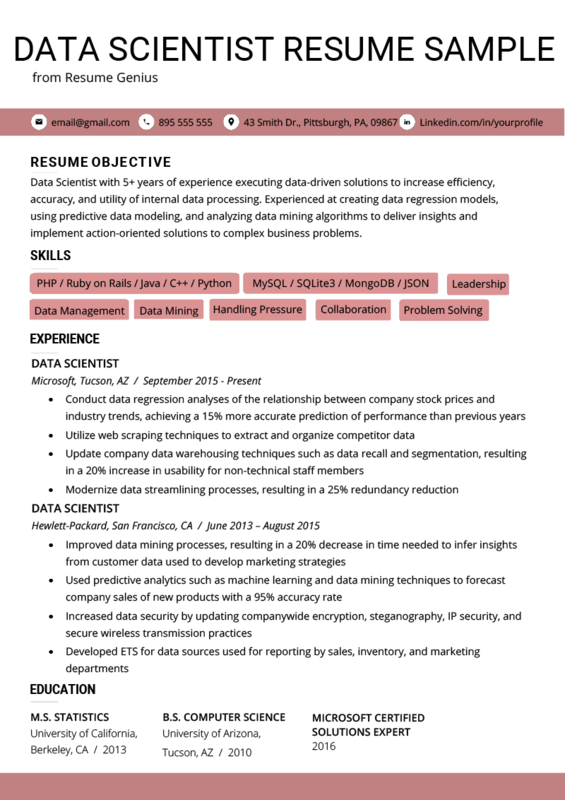 First, we recommend using a resume template with two columns. Grouping your information like this makes it easier to read. You can also simply place your skills section at the top of the page for extra emphasis. Both options will catch the hiring manager’s eye, and help quickly prove you’re the skilled candidate the hiring manager is looking for. Don’t be afraid to use color for emphasis when designing your resume – but remember to keep it professional. All the computer skills mentioned this far are prime examples of hard skills. That means they can only be learned through training – either by self-study or taking a course. Soft skills, on the other hand, are personality traits employers look for, such as attention to detail and teamwork. To show you’re a well-rounded candidate, you should include both hard and soft skills on your resume. This creates a more balanced application, and makes you seem like an actual human rather than a highly-trained robot (or worse, someone with no ability to do the job whatsoever). Here’s a mix of hard and soft skills for a marketing assistant. To make things even clearer, our candidate grades their abilities in each. It’s not a game changer, but it can be an effective visual trick if used tastefully. 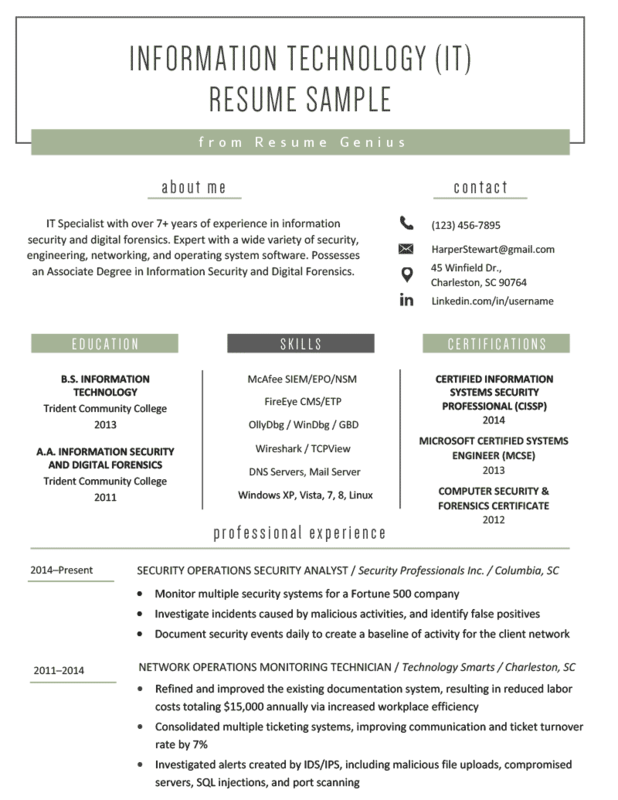 Need some examples of resume skills? Our list of 250+ hard and soft skills has everything you need for your resume skills section. Once you’ve chosen which computer skills to put on your resume, it’s time to prove you can use them in a way that contributes to the company’s bottom line. Write what your computer skills helped you achieve by stating your accomplishments and measuring them, using numbers such as timeframes, percentages, and dollars. This is called quantification, and is key to writing an achievement oriented resume that impresses hiring managers. Not only does quantifying your skills prove you can drive results, but it’s a perfect invitation to being asked more questions during your interview. Most candidates don’t know how to correctly quantify their duties, so you’ll be ahead of the competition if you do this correctly. Hiring managers can supposedly judge a resume in 6 seconds. When they look at yours, what will they see first? A clear skills section is one way to make a positive first impression. However, it doesn’t explain how you applied your computer skills. You can give the hiring manager some additional insight by linking your skills to your achievements in your introduction. 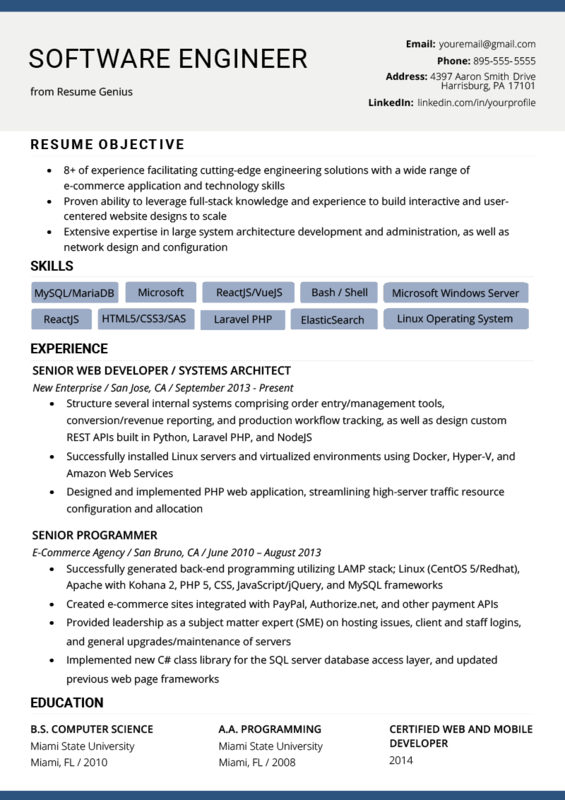 There are several effective ways to begin a resume that showcase your computer skills. 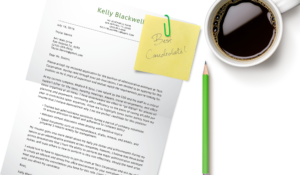 We recommend writing a clear resume summary because it gets straight to the point. This format replaces a dull opening statement with concise bullet points. Your key skills are included with proof that you can get results. Design: Create e-commerce websites using 8 programming languages. Optimization: Increased user clicks and customer purchases by over 25%. Leadership: Trained over 50 staff members to use internal functions. Awards: Winner of the CREATE+ ‘Developer of the Year’ award 2018. An introduction like this is suitable for all levels of computer skills. 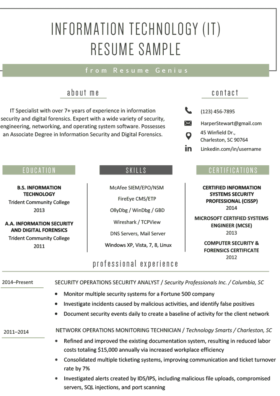 Check out our resume examples organized by industry to learn how to describe your computer skills using a resume sample written by experts. We’re not done yet – the final thing to do is add separate sections for your education and certifications. You earned these, so don’t be shy. Display them where they’ll be noticed. Remember: new graduates should focus on their education, but seasoned professionals should highlight their expertise. For those who have a mix of high level qualifications and on-the-job experience, highlight your education, certifications, and additional skills simultaneously with a creative resume template. Need some tips for writing your education section? We have a detailed guide for that too. By now you should be equipped with all the tools necessary for effectively writing resume computer skills. To help you get started, we have an extensive library of free resume templates ready to download. Pair one of these with a matching cover letter template and you’re off to a flying start. For a cutting edge resume that maximizes your chances of landing an interview, use our free and newly updated resume builder to create the perfect resume in minutes.